Before the summer season escapes, take a relaxing vacation to beautiful Hilton Head, South Carolina! 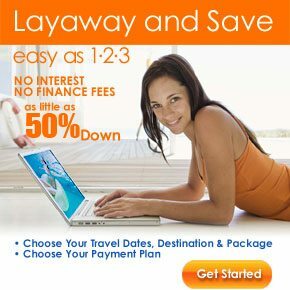 Stay at the luxurious Sonesta Resort for 6 days and 5 nights for only $349, the price of a cheap hotel! You’ll also receive a free $100 Dining Dough gift card with this great back to school deal! Late summer is a great time to visit Hilton Head, with the tide of tourists waning and the characteristically hot weather giving way to more moderate temperatures, perfect for biking along Hilton Head’s web of shaded bike paths, hiking, and swimming! Take advantage of season-end discounts at many fashionable clothing stores, and enjoy fresh seafood without the wait times! 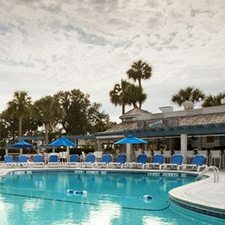 The Sonesta Resort offers all the great amenities you’d expect from an upscale resort, with valet parking, delicious restaurant, onsite shopping, supervised children’s activities, sparkling outdoor pool, and full-service spa! Your deluxe hotel room has high-speed Internet access, a private balcony or patio, cable TV, coffee maker, mini-fridge, room service, and more for your comfort and convenience! Hilton Head is a great place for anyone to visit, whether you have a thirst for outdoor adventure, eye for art, or taste for delicious food! Biking is one of the favorite outdoor activities in Hilton Head, with a network of paths crisscrossing the city and 12 miles of beautiful beach accessible by bike! Enjoy a historical or ecological program for all ages, or take on Zip Line Hilton Head, a challenging high ropes course with zip lines, sky bridges, and more! Hilton Head is also a great arts town, with the world-class Arts Center of Coastal Carolina and other live performance venues and art galleries. Get interactive at the Art Café and Idea Studio, which has everything you need to learn about drawing, painting, sculpting, stained glass, and more with classes and supplies! Whatever you do, you’ll have a memorable time on your Hilton Head vacation!